Today, walking Bandit, our Beagle puppy, and we came across the Sea Turtle patrol monitoring the progress of a large female Green Sea Turtle making her way back to sea. She had a hard time since she doesn’t have a left front flipper. Probably a shark or something bit it off. Watch the movie as she finally gets all the way back in and swim away. That’s me encouraging the turtle to swim hard. 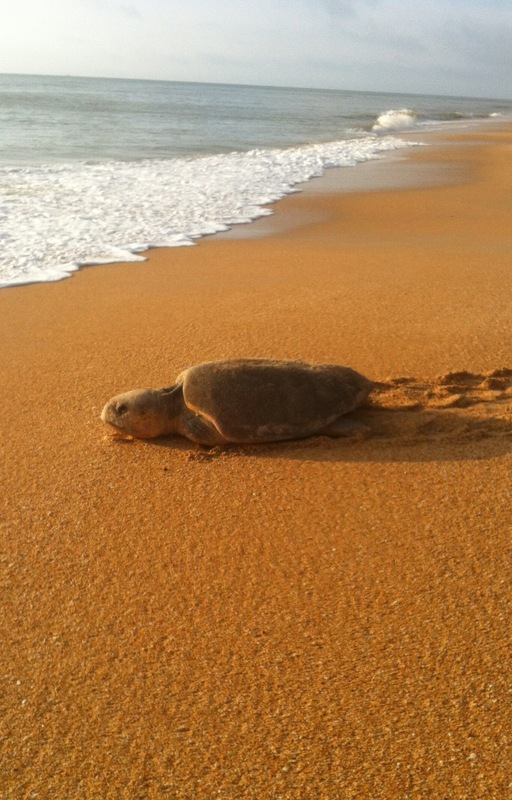 Sea Turtle Going Back to Sea after laying her eggs in the Dunes.